In the early 20th Century the Jews of New York discovered the Catskills as an escape from the crowding, heat and tumult of the city. The clean air and comradery was just 100 miles from New York by bus or train, and later by auto. Jews had preceded them there attempting to eke out a living by farming the rocky soil and setting up shops in the scattered villages. These latter-day-farmers opened their homes to guests from the city and this grew into bungalow colonies, camps and numerous small hotels. Some of these grew into opulent kosher establishments with world-class recreation and entertainment. The Bookbinder family arrived in the Catskills (aka. “The Borscht Belt”) in 1917 and participated in its Jewish renaissance and eventual decline. 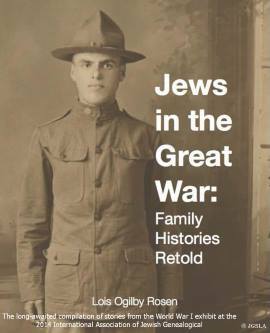 This lecture will share this unique Jewish experience and even some little known resources that just may help in your genealogical research. Hal has identified over 3,500 relatives back to the mid-1700s in modern Ukraine. Other roots reach into modern Moldova, Poland, Belarus and Russia. He grew up in the Catskills, working in its hotels during the heyday of the “Borsht Belt”. He is a past president of the JGSLA and continues to serve on its board. Hal has served as president of the IAJGS and has been honored with its Lifetime Achievement Award. Professionally, he is an IT Director in healthcare, a part-time university instructor and director of a recovery to work training program. 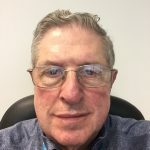 Check out his growing series of articles on safe genealogical computing at http://tinyurl.com/ComputingArticles.